All initial submissions made online at www.ruthborchard.org.uk. The deadline for entry is 6th April 2019. ALL ARTISTS are encouraged to produce a self-portrait for the chance to win £10,000, to be included in a prestigious four month exhibition and, to have their work purchased for the UK's only public collection of Self-Portraits. Representing the best in contemporary practice the prize accepts all styles and techniques. Abstract and Representational works accepted. There are NO restrictions to size or media. 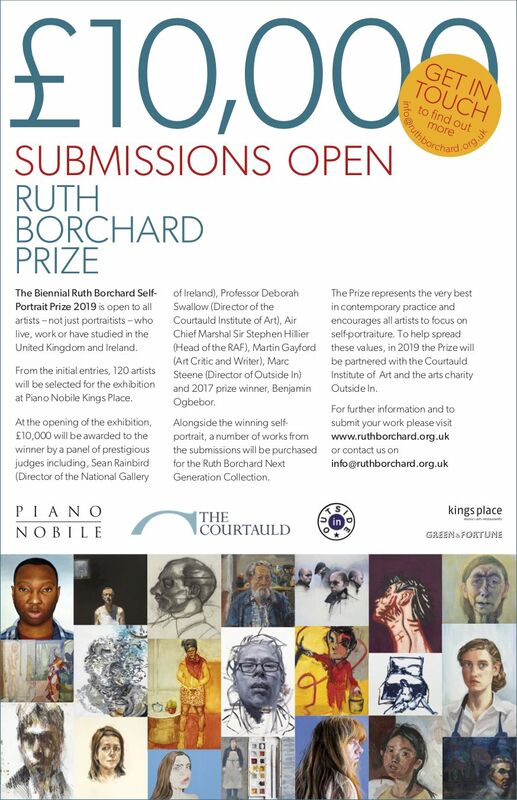 For further information about the Prize, the Exhibition and the Collection please visit www.ruthborchard.org.uk or email info@ruthborchard.org.uk.